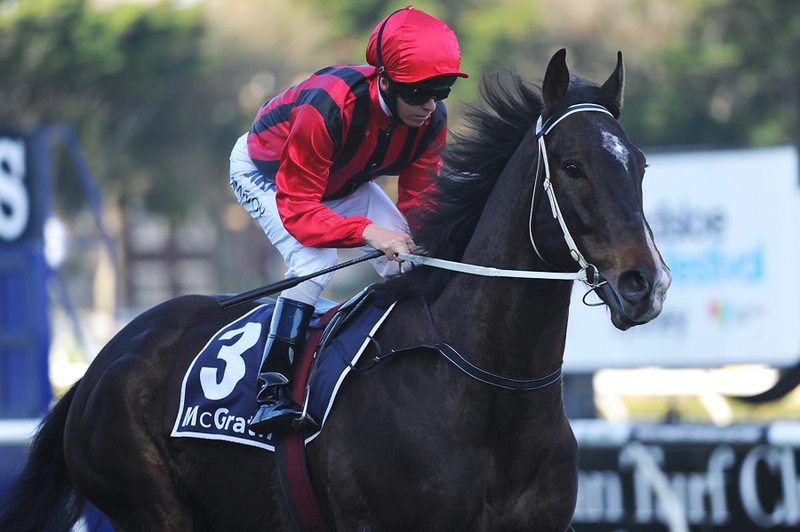 The Karrakatta Plate has long been regarded as Western Australia’s premier two year old race. Back in 1990, a very tough colt by Miswaki named Umatilla crossed the continent to claim the Group 1 race for owner Bill du Pont and trainer Tommy Hughes. Umatilla ended up having 12 starts in four different States as a 2yo, recording 3 wins and 8 placings including a second in the Group 1 Blue Diamond Stakes. His only unplaced run at two was in that year’s edition of the Golden Slipper Stakes. In 1993, Umatilla was retired to stud at Blue Gum Farm where he had a long and very successful stud career before passing away peacefully in 2011. 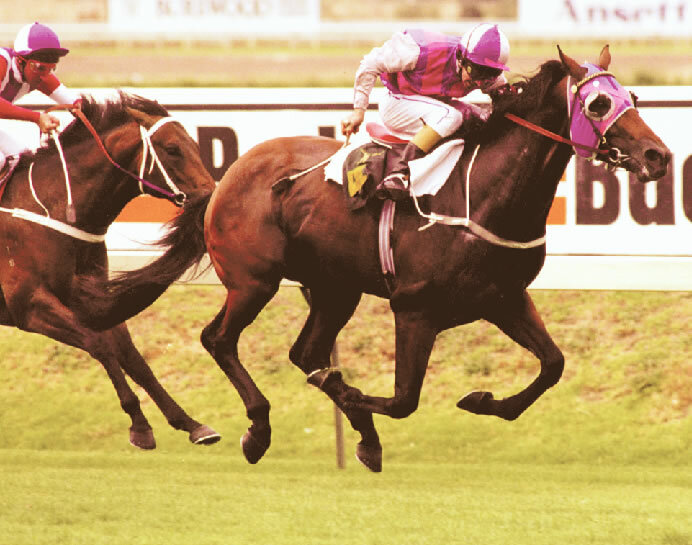 Umatilla sired 33 stakes winners and among his 6 Group 1 winners was 1996 WATC Karrakatta Plate winner Umah. In this year’s running of the Karrakatta Plate, Umatilla again had a very strong hand in the result. The race was won easily by the Oratorio (Aus) colt Lucky Street who is out of the Umatilla mare Rumours. Lucky Street has won four of his five starts now for earnings of $609,950. A very handy race filly herself, Rumours was a result of Umatilla’s second season at stud. Umatilla continues to prove his worth to the Australian breeding industry as the damsire of 332 individual winners. There have been 21 stakes winners in that category led by Group 1 gallopers Final Touch (NZ Captain Cook Stakes) and Ihtsahymn (WA Kingston Town Stakes). Imperial Hawk (Aus) is on the way to bridging the gap between restricted company and black-type staying events for Chatswood Stud stallion Purrealist. 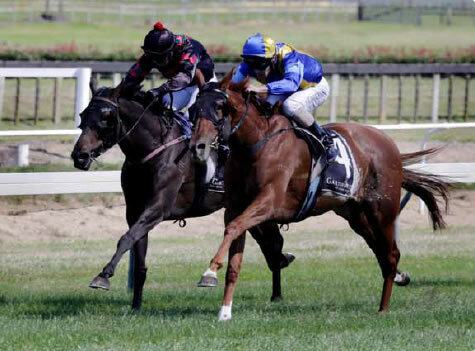 The Kiwi mare is a last-start winner of the Bayleys Real Estate Hcp (2100m) at Tauranga and that caused connections to consider setting her for races like the Rotorua Cup and Hawkes Bay Cup. Imperial Hawk is a homebred for Australian based David Puglisi in partnership Tony Muollo and they sent her across the Tasman last October. She began her career in Australia and the best of those three runs was a placing at Kembla Grange. A stakes career isn’t out of the question for the lightly-raced four year-old who is now under the care of Murray Baker & Andrew Forsman at Cambridge. She’s a younger sister to G1 Queensland Derby winner Hawkspur who has trained on for the last two editions of the G2 Chelmsford Stakes at Randwick. Imperial Hawk (4m Purrealist – Mollyhawk by Catbird) lengthened stride impressively to forge away to a decisive victory a three quarters of a length victory on March 21. She can continue on an upward curve in the First Credit Union Hcp (2200m) at Te Aroha on Easter Saturday. Purrealist (Tale of the Cat) won the G3 Caulfield Guineas Prelude for Tony Santic and Puglisi before retiring to Makybe in 2008. He transferred to Chatswood in 2012. Chatswood Stud owner Greg Willis stood Purrealist for a $5,500 (inc gst) fee last year. Reset is back on top of the Victorian sires’ table and he owes the revival to G2 Tulloch Stakes (2000m) winner Hauraki. The Darley Victoria stallion lost top-spot last week after leading the table since the spring exploits of his grey galloper Fawkner. Bel Esprit took over when Work The Line won the final race at Geelong last Sunday but it was short-lived. Hauraki was a dominant winner of the $175,000 Tulloch Stakes at Rosehill on Saturday handing back the lead to Reset ($3.82 million) over Bel Esprit ($3.75 million). He was positioned midfield in the early stages and then burst through a gap to record a decisive win over Omeros (High Chaparral) and Merion (O’Reilly). Bookmakers firmed Hauraki into a $4.80 third favourite for the $2 million Australian Derby (2400m) at Randwick next Saturday. He will be the fifth Group 1 winner for Reset following Pinker Pinker (W S Cox Plate), Fawkner (Caulfield Cup), Rebel Raider (Victoria Derby) and Set Square (VRC Oaks). Just as importantly for Reset and Darley Victoria, it will jeopardize Bel Esprit’s long reign as the champion sire in Victoria. Turffontein has sired the winners of 6 stakes races this season and his first Group 1 is in sight with top-class filly Fontein Ruby. Trainer Robert Smerdon is aiming Fontein Ruby for a Group 1 campaign in Adelaide after she grabbed a front-running victory in the LR Alexandra Stakes (1600m) at Moonee Valley on Friday evening. Fontein Ruby (3f Turffontein – Charming Ruby by Rubiton) was a $50,000 buy from Blue Gum Farm at the 2013 Inglis Melbourne Premier yearling sale and Friday’s result increased her bank balance to $880,000 including $66,000 in bonuses courtesy of Super VOBIS. Smerdon will send her across the border for the G3 Auraria Stakes (1800m) at Morphettville next month as a final lead-up to the G1 Australasian Oaks (2000m) on May 2. 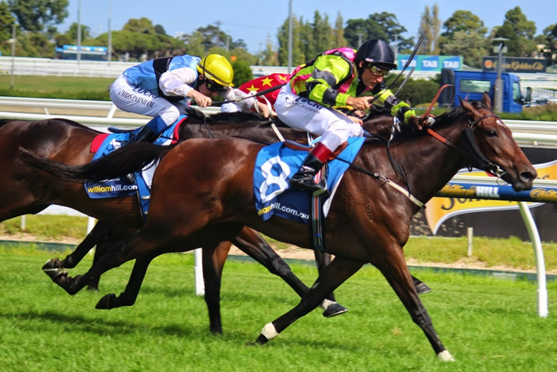 The Turffontein filly returned to form at Moonee Valley – she had been placed in the G3 Kevin Hayes Stakes and G2 Angus Armanasco Stakes at Caulfield last month but was never in the call when last home in the G1 Australian Guineas on March 7. 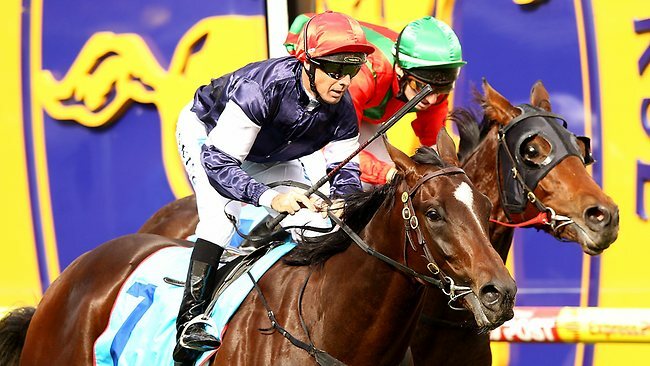 Fontein Ruby won at Sandown and Flemington last year and progressed to black-type victories in the G3 Norman Robinson Stakes and G2 Edward Manifold Stakes before failing to run out 2500 metres in the G1 VRC Oaks. Turffontein sired her from an unraced half-sister to G2 Tristarc Stakes winner Infinite Grace. Second dam Infinite Charm (Tristino) is a half-sister to G1 Cox Plate hero Fields Of Omagh. 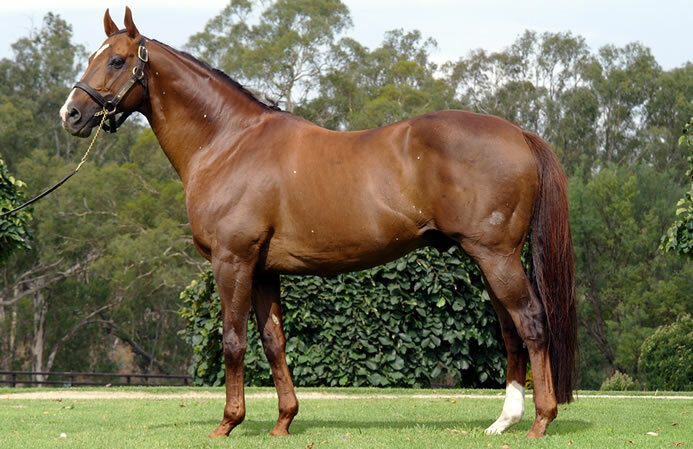 Blue Gum Farm stands Turffontein (Johannesburg) and he is currently in third spot on the Australian second-season sires’ premiership behind Medaglia d’Oro and I Am Invincible. Victorian based Bob and Rosemary Scarborough will disperse their breeding stock at the Magic Millions National Sale starting on May 24. The Wood Nook Farm owners have catalogued 34 lots for the Gold Coast from their Nagambie nursery which has been responsible for Group 1 winners Final Card, Gallica, Gold Ace, Hit the Roof, Leica Guv, Light Fantastic, Marble Halls, Sleek Chassis and Stella Cadente. 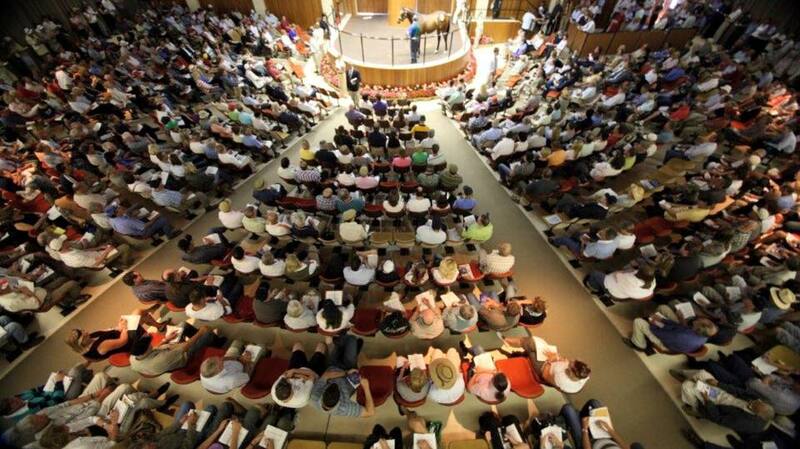 “We are winding up Wood Nook Farm and dispersing our entire bloodstock portfolio and in due course selling the farm,” Bob Scarborough reported. “Rosemary and I have really enjoyed our time at the races and sales over the years and have been lucky to enjoy so much success. “It’s time for a complete lifestyle change and we plan to travel and spend more time with our six grandchildren who are growing up too quickly. 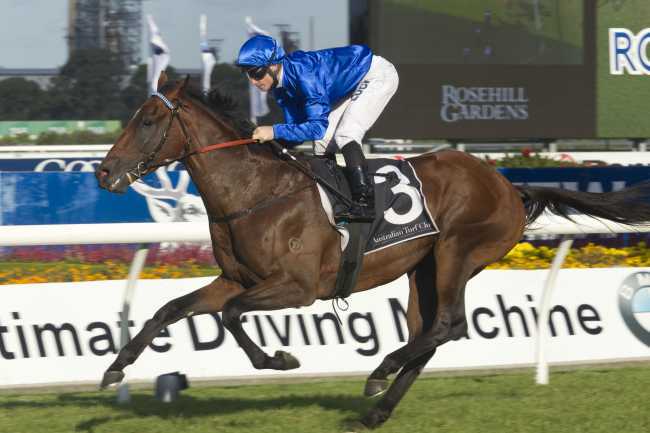 CHEETAH (Tiger Hill) – USA & UK stakes winner served by Zoustar. Her filly foal is by Street Cry. GAUDEAMUS (Distorted Humor) – Group 2 winner covered by Medaglia d’Oro. Her weanling is by champion Pierro. LECTRICE (Encosta de Lago) – Group winning half sister to Group 1 winners Leica Guv and Light Fantastic. Her weanling is a colt by Fastnet Rock and she was bred back to the Coolmore Stud champion last year. OCEAN DREAM (Redoute’s Choice) – City winning half sister to Group 1 winner Marble Halls and the dam of Blue Diamond winner Sleek Chassis. Served by Golden Slipper winner Sebring. OH GOODNESS ME (Galileo) – Curragh Group winner with a weanling filly by Fastnet Rock and served by him again last year. ROCHA (Encosta de Lago) – G2 Wakeful Stakes winner and a daughter of Group 1 winner Larrocha. Has a weanling colt by Pierro and covered by Sebring. SLAPSTICK (Anabaa) – Group winning three quarter sister to Group 1 winner Virage de Fortune and Group 2 winner Avenue. Her weanling is a filly by Fastnet Rock and she was served by Redoute’s Choice. 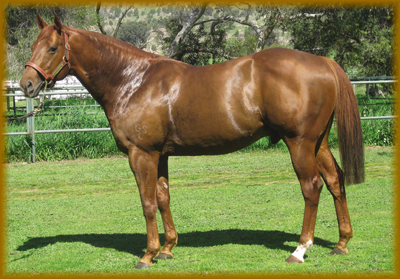 STARFISH (Redoute’s Choice) – Stakes performed daughter of Group 1 winner Stella Cadente. Dam of this season’s Group performed juvenile Wolf Cry. Her weanling is a colt by Medaglia d’Oro and she was covered by Denman. The dozen weanlings set to go under the hammer include colts by Fastnet Rock, Helmet, High Chaparral, Medaglia d’Oro and Pierro and fillies by Fastnet Rock, Helmet, Reset and Street Cry. Bullarook Park freshman Strategic Maneuver gave Malcolm Boyd a winning welcome-home present on Saturday. The Avenel studmaster is recovering after back surgery but he was in high spirits after Tempt Me Not raced away to a hollow victory at Newcastle. She sprinted quickly from midfield to defeat Godolphin filly Lycia (Medaglia D’oro) by five lengths in the Pantry Packers 2YO Plate (1200m). Tempt Me Not is a homebred for Gooree Stud’s Eduardo Cojuangco and goes into the records books as the first winner by Strategic Maneuver. “She should have won before now,” Boyd declared. “She was fifth in the Widden Stakes and was only beaten a length in her last two starts at Randwick and Warwick Farm. The Newcastle winner is trained by Bart & James Cummings and is from a very successful family developed by Cojuangco. Her dam Ganda (Encosta de Lago) is a daughter of G1 Vinery Stakes winner Tempest Morn. Strategic Maneuver is bred on the same Royal Academy – Vain cross as Bel Esprit. He won on debut at Randwick but broke a pedal bone second time out at Canterbury. Boyd stands Strategic Maneuver alongside Lucas Cranach (Ire) at Bullarook Park in Victoria. He will make a decision in the next month or two whether to keep his fee at $4,400 (inc gst) this year. 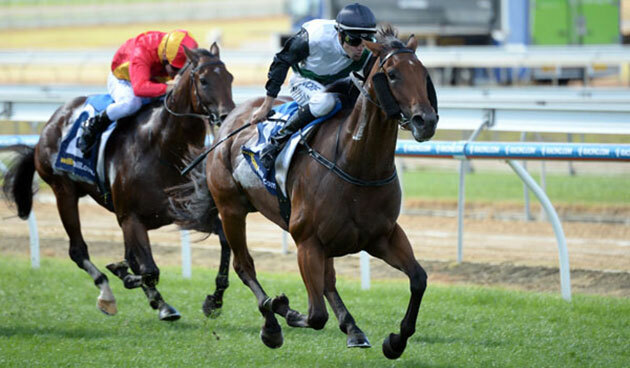 Jurasound swept the boards with a winning hat-trick in the $100,000 Mornington Guineas (1500m) on Saturday. The Lindsay Park filly has earned over $256,00 including Super VOBIS and VOBIS Gold windfalls totalling $121,000. She banked $50,000 worth of incentives with a three length victory over Malaguerra (Magnus) during the stand-alone fixture on the peninsula. The daughter of Darley Victoria stallion Von Costa de Hero is trained by David Hayes and Tom Dabernig and the latter said Jurasound is the perfect advertisement for VOBIS. “It’s a great incentive and she’s part-owned by David – he’s absolutely rubbing his hands together. Jurasound (3f Von Costa de Hero – Oceano by Portland Pirate) will now be set for the $250,000 VOBIS Gold Mile (1600m) at Caulfield on April 18. She graduated from the 2013 Inglis Easter Sale for $100,000 and is from a Listed winner of the 2003 Bow Mistress Stakes. He’s just outside the Top 10 on the second-season sires’ table with 12 individual winners from 39 starters and $594,770 in prizemoney. He stood for a $5,500 (inc gst) fee at Northwood Park in Seymour last year. Khreshchatyk has come through his first test with flying colours at Hawkesbury. The Bjorn Baker trainee clicked into top gear at his second start to win the Prior Drainage Maiden (1100m) on Thursday. Khreshchatyk (3g Keep The Faith – Lubna by Secret Savings) started a $1.70 favourite after going down a length first-up at Kembla Grange on March 9. He had been given the green light to debut by the course vet despite sustaining an abrasion to his hip in the tie-up stalls. Named after the main road in Kiev, the lightly-raced three year-old is a homebred for Avo Damirdjian who is best known for his association with outstanding mare Private Steer. She completed a Group 1 double in the All-Aged Stakes and Doncaster Mile in 2004. The Hawkesbury winner is an older half-brother to a yearling filly and a colt on the ground by Master Of Design. Their dam Lubna was bred back to Baker’s 2014 Magic Millions 2YO Classic winner Unencumbered in November. Keep The Faith stands at Greta West Stud and has sired the winners of 70 races this season for $1.63 million in prizemoney. His star sprinter Trust In A Gust was expected to resume in the G1 William Reid Stakes at Moonee Valley on Friday night but trainer Darren Weir ruled him out in favour of an easier first-up assignment in April. Lauriston Park’s Chris Bakker will be cheering on high-class mare Suavito should she make the field for next Saturday’s $3 million Group 1 Doncaster Mile at Randwick. Suavito (Thorn Park) has been a great advertisement for Bakker’s Euroa farm where she spelled in preparation for an outstanding campaign that has seen her already claim the G1 Futurity Stakes and G2 Blamey Stakes in Melbourne. Lauriston Park stands Makybe Diva’s sire Desert King and its lush paddocks are also home to champion mare Let’s Elope. She is the oldest Melbourne Cup winner alive and looks much younger than her 27 years – testament to just how well she is cared for at the historic property which was once home to champion sire Plush. Lauriston Park was purchased by Chris and Kathie Bakker in 2003 and it boasts the best water supply in the Euroa district with Creighton’s Creek running through the property. It’s an ideal choice for long distance owners and more hands-on owners alike. Chris can be contacted on 0427 903 353. 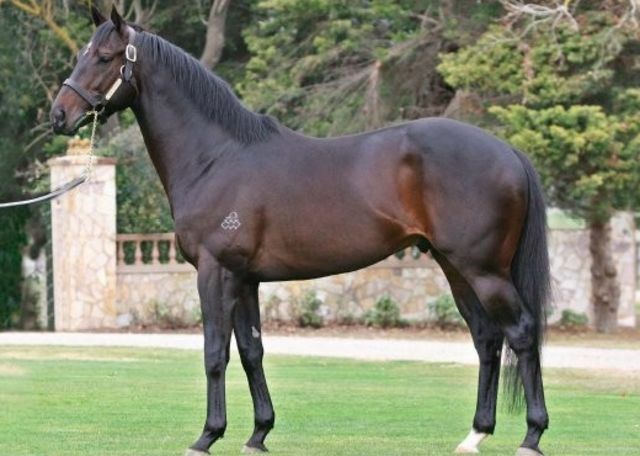 Young stallions Host (Chi) and Kaphero have been relocated from Swettenham Stud to new homes in South Australia and NSW. Swettenham’s Nagambie property can accommodate six stallions and adjustments were required with three new sires joining its roster this year. 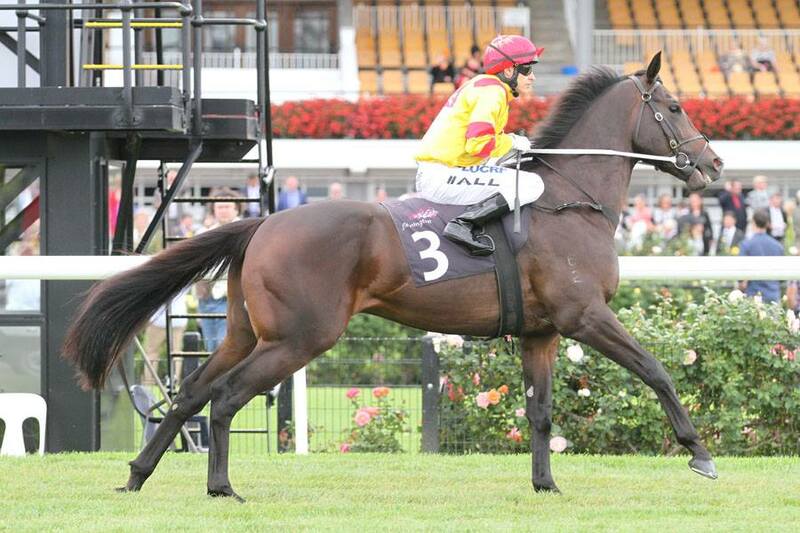 Host (Hussonet) will transfer to Willow Grove Stud in South Australia and Kaphero to Riverdene Stud in NSW. Willow Grove owner Ralph Satchell is delighted to have Host on board this year. “His only colt at the 2015 Adelaide Magic Millions sold for $55,000,” he said. “Some of Host’s best progeny like Philippi have been sold overseas but there’s plenty more in the pipeline. Kaphero will help fill a gap in the stallion ranks in the south-east of NSW at Riverdene Stud this year. Pendergast also points out local breeders can pay up for BOBS and they’re also close enough to the border for the breed-back option with Super VOBIS. Kaphero is a son of Danehill’s G1 Golden Slipper champion Danzero and his dam Kapchat won the G1 Coolmore Classic at Rosehill. He has sired the winners of 35 races this season headed by quality gallopers Stingray, Barcode, Tankster and Our Kaboom. Trainer Mick Price is confident Ready For Victory will be more tractable going clockwise for the second time in the G1 ATC Sires’ Produce Stakes (1400m) at Randwick on April 4. Victory in the second-leg of the Sydney 2YO Triple Crown will cement his position as a future resident on the Eliza Park International roster at Kerrie. Ready For Victory was a handful for jockey Nick Hall when he veered towards the outside rail in the G1 Golden Slipper Stakes (1200m) last Saturday. Despite losing valuable ground in the straight, he still finished fourth within two lengths of the winner Vancouver. “It was a super run and it’s a pity he raced erratically,” Price said. “I will change his gear and maybe try a ring bit and blinkers. Ready For Victory (2c More Than Ready – Crillon by Zabeel) earned a start in the Golden Slipper after a brilliant winning debut in the LR Festival Of Racing Stakes (1000) at Flemington on March 7. He is from a half-sister to G1 AJC Champagne Stakes winner Meurice and was a $240,000 buy for Eliza Park International owner Cheung Ting Kong at the 2014 Gold Coast Magic Millions. James O'Brine & Andy Makiv, 2013 Breeders Awards. 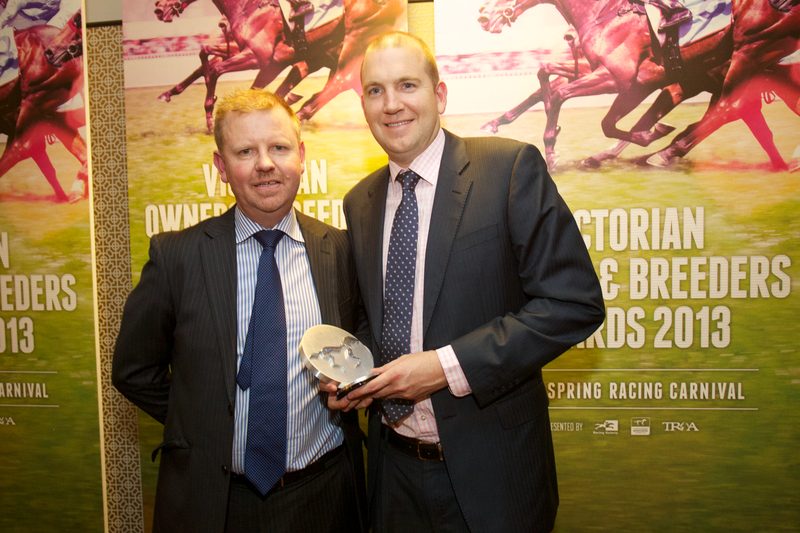 Thoroughbred Breeders’ Victoria welcomes Darley’s Victorian General Manager Andy Makiv to the committee of TBV. A graduate in Law and Agricultural Science, Andy has developed a strong career in the thoroughbred industry. Victorian born and bred, he is passionate about racing and breeding in Victoria and has raced, bred, managed, advised, purchased and sold. 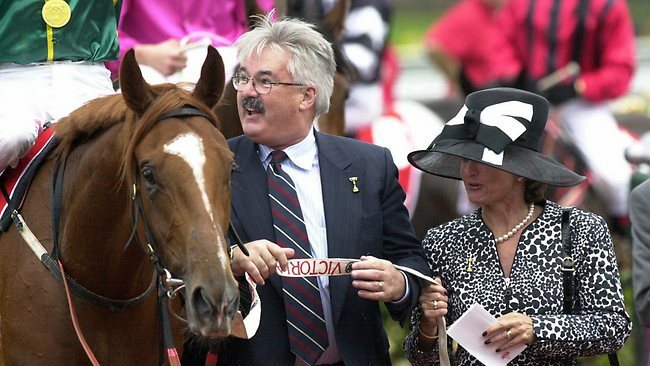 Makiv’s involvement in the industry was initially in bloodstock purchasing, management and syndication with Lindsay Park. He was then recruited by Darley, the biggest stud and racing operation in Australia with a very strong presence and significant investment in Victoria. Swettenham Stud has joined forces with one of the world’s most influential and successful Qatari racing organisations Al Shaqab, to bring the European Champion 3yo Miler Toronado to stand in Victoria. “Toronado represents Sheikh Joaan’s first involvement in Australian racing which reflects a substantial show of faith in the Australian bloodstock industry,” said Swettenham’s principal Adam Sangster. “To be standing Toronado, who champion jockey Richard Hughes regarded as ‘the best he’d ever ridden’ is fantastic and Swettenham is immensely proud to be entrusted with him and are grateful for the vision of his advisers, in particular John Warren. 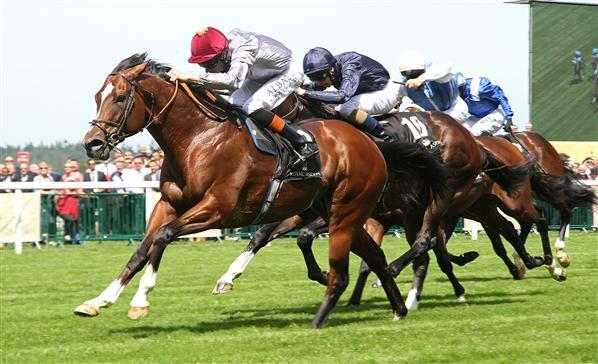 Toronado was unbeaten as a 2yo and won his first race in early June over 1300m before winning the prestigious Winkworth Stakes (1400m) at Ascot in July. He then went on to win the Group II Champagne Stakes (1400m) at Doncaster which positioned him as one of the most exciting 2yo’s of his generation. He was crowned European Champion Miler at three and was the co-highest rated miler of his age in the world with an international rating of 125. His four-length, all-the-way win in the Group III Craven Stakes (1600m) at Newmarket had trainer Richard Hannon describing him as “a machine who just quickened and quickened”. Having been bumped in the race, he was then unluckily beaten by a nose in the Group I St. James’s Palace Stakes (1600m) at Royal Ascot by the Champion 2yo Dawn Approach, but subsequently reversed the form when storming home to victory in Goodwood’s Group I Sussex Stakes (1600m) winning the race in a phenomenal time which was more than a second faster than Frankel recorded, in both of his victories in the same race. Toronado returned as a 4yo with a brilliant performance to win the Group I Queen Anne Stakes (1600m) at Royal Ascot, again recording a time faster than the mighty Frankel. Toronado stood his first season at the English National Stud and was supported strongly by Al Shaqab and many top breeders in the UK, France and Ireland. He will stand at Swettenham at a service fee of $22,000 (inc gst). The Big Dance. Photo by Bendigo Advertiser. 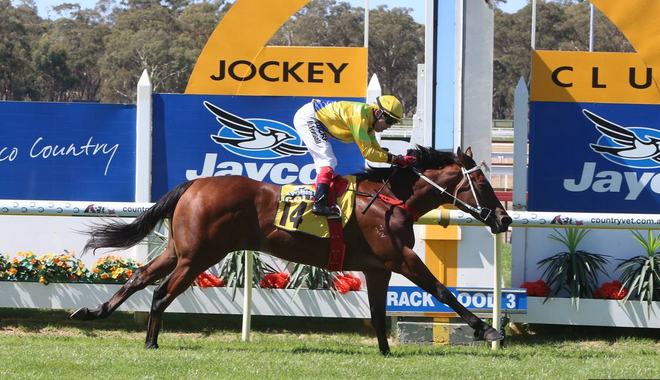 Oamaru Force filly The Big Dance made a dream debut when routing her rivals in Saturday’s $250,000 VOBIS Gold Rush (1000m) at Bendigo. Part-owned and prepared by local trainer Danny Curran, she led virtually all the way to defeat Bundy Red (Globetrotter) and Miss Gidget (Gonski) by more than two lengths. The Big Dance is by Geiger Counter sire Oamaru Force and Noor Elaine Farm manager Mark Caldwell stands him for a $2,750 (inc gst) fee in Euroa. The best of his stakes winner to date have been Mid Summer Music (G1 Stradbroke Hcp) and Diplomatic Force (G2 Yallambee Classic). The VOBIS Gold Rush winner is from Curzon Dancer (Danehill Dancer) and is closely related to the Group 1 winners Blackfriars (Victoria Derby) and Larrocha (South Australian Oaks). Curzon Dancer has a yearling colt by Oamaru Force, a colt on the ground by Easy Choice and she was bred back to Unencumbered last year. Watch the race footage here. The Inglis Melbourne March Sale recorded an excellent clearance rate of 90% at Oaklands Junction on Friday. A total of 197 lots realised an aggregate of over $1.74 million with the highlights coming out of the Darley and Team Williams horses. Inglis director Peter Heagney said the March Sale reinforced the strength of the Victorian auction system with good competition by buyers from all states of Australia and New Zealand. Redoute’s Choice stallion Wales shared top spot on the leader-board at $50,000. The Team Williams stakes winner was sold to a Queensland based client of Inglis. Wales (5h Redoute’s Choice – Valkyrie Diva by Jade Robbery) was offered by Lloyd and Nick Williams under Hudson Conway Racing. He was last seen when well-beaten behind Boomwa in a Moonee Valley sprint in December. Bred by Makybe owner Tony Santic, he was a $310,000 buy for Team Williams at the 2011 Inglis Easter yearling sale and that looked money well-spent when he won the LR Redoute’s Choice Stakes (1200m) on debut at Caulfield in April 2012. After an injury-enforced, two-year stretch on the sidelines, he resumed at Sandown in March last year and finished strongly down the outside to win the Catanach’s Jewellers Hcp (1400m). Wales is by champion sire of sires Redoute’s Choice from a Group 3 winning half-sister to Makybe Diva. 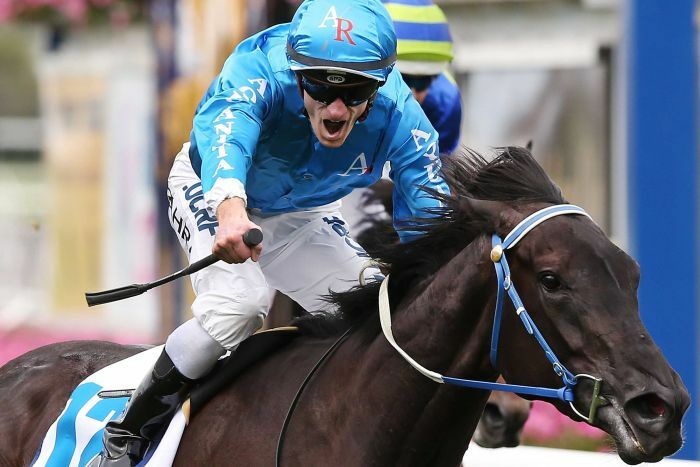 There are similarities with the Melbourne Cup legend – he’s a dark bay with a distinctive white star. He was followed into the sale ring by stakes-placed gelding Practiced (Encosta de Lago) who equalled that price when purchased by Shane Morrissey. 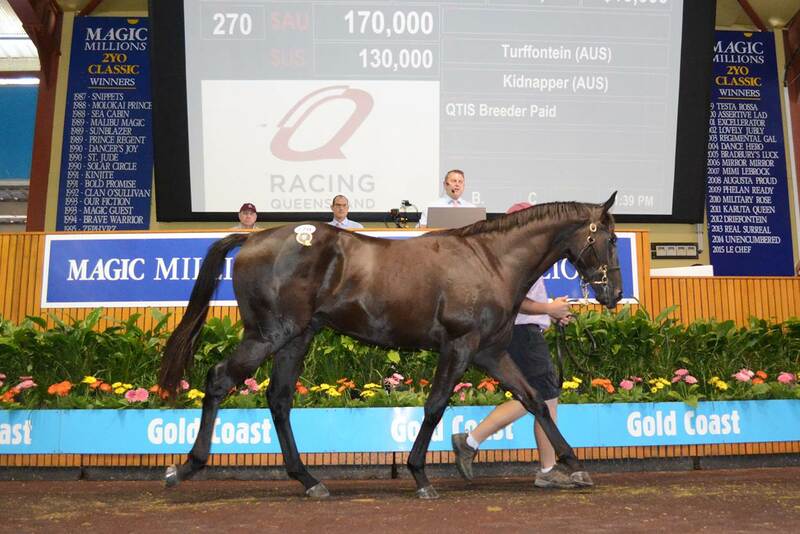 Street Cry three year-old Torbay was top-priced among the Darley draft at $45,000. He was placed in a Kembla Grange maiden at his penultimate start in January. Belorum completed a winning hat-trick for owner-breeders Dr Ken Farrell and Dr Dennis Price in the TBV Newmarket Grandwest Hcp (1500m) at Moonee Valley on Friday evening. The Bel Esprit gelding has been as consistent as clockwork for Farrell and Price and their wives Anne and Carrie. He came to town after wins at Cranbourne and Bendigo and has now won 4 races and been placed twice in 7 starts for trainer Darren Weir. “We’re very happy with the way he’s going,” Farrell said. “He was a handful as a young horse but has really settled down for Darren. “Belorum almost died 12 months ago from a massive leg infection,” Farrell revealed. “Fortunately, the skills of vet John Brennan saved him and he was nursed back to health by trainer Monica Cid – she took him to the beach nearly every day to build his strength. Belorum (4g Bel Esprit – Shahana by Danehill Dancer) is a younger half-brother to the Farrell-bred winners Now And Zen (Zenno Rob Roy) and Russian Royal (Ustinov). Shahana won four races up to 1700m and her most recent foal is a yearling filly by Keep The Faith. The Farrells owned The Wilderness at Euroa before they retired to Brighton. “We were right behind Blue Gum Farm and I always follow their horses,” Ken explained. “I liked a Turffontein filly Phil Campbell had for sale at last year’s Premier Sale and bought a share. Artie Schiller’s top-class son Laser Hawk has returned from the wilderness to win the G3 Newcastle Newmarket Hcp (1400m) at Broadmeadow. Three years after his signature success in the G1 Randwick Guineas, he overcame a wide journey with authority to score by a one-length victory under top-weight of 59 kg. Laser Hawk (6g Artie Schiller – High Heels by Canny Lad) has been plagued with tendon injuries and Wednesday’s victory was just his 14th start for Gooree Pastoral owner-breeder Eduardo Cojuangco. Laser Hawk is now trained by Joe Pride after beginning his career with Gai Waterhouse. A half-brother to six-time Group 1 winner Desert War, he holds nominations for the G1 Doncaster Hcp and G1 Queen Elizabeth Stakes during The Championships. Artie Schiller (El Prado) has sired three stakes winners this season – Laser Hawks follows I Love It (G3 Bow Mistress Stakes) and Vain Queen (G3 Mumm Stakes). Emirates Park Victoria stands him for a $22,000 (inc gst) fee. Reward For Effort sired his fifth winner at Wednesday’s Sandown meeting when Petite’s Reward scored a front-running victory in the Swettenham Stud Sprint (900m). The Chatswood Stud stallion is just one adrift of Beneteau at the top of the Australian first-season winners’ table. Petite’s Reward (2f Reward For Effort – Petite Briefs by Brief Truce) sat on the speed and refused to surrender for a long neck victory over Prussian Vixen. “I didn’t think she would be with the leaders from a wide gate,” trainer Brendan McCarthy said. “She pinged the gates and was gutsy to the finish. Petite’s Reward is a homebred for Innisfree Thoroughbreds owners Andy and Carol O’Shea. Her dam and second-dam Petite Filou (Snippets) also won in Melbourne and the Pakenham couple have bred both mares to Reward For Effort in recent seasons. Turffontein’s only representative at the recently completed Gold Coast March Yearling Sale was the equal highest priced lot of the sale. The bay colt (pictured) was knocked down to Group One winning trainer Kelly Schweida for $170,000. From the multiple Brisbane winning Red Ransom mare Kidnapper, this colt is a half-brother to dual listed winner Cape Kidnappers and five time Queensland winner Tiger Dimejan. This excellent result was on the back of Turffontein’s recent sale ring success at this year’s Melbourne Premier Yearling Sale earlier in the month. At that venue his colts sold to $140,000 and his fillies sold to $110,000. With consistent racetrack and sale ring results, Turffontein is fast becoming a real force in the Australian stallion ranks. Blue Gum Farm is delighted to announce that Turffontein’s 2015 service fee has been set at a very competitive $11,000 including GST. With another quality crop of foals on the ground and another good book of mares currently in foal to him, Turffontein’s future looks very bright indeed. Regally-bred stallion prospect Wales will highlight the Inglis Melbourne March Sale on Friday. Wales (5h Redoute’s Choice – Valkyrie Diva by Jade Robbery) is being offered as Lot 139 by Lloyd and Nick Williams under Hudson Conway Racing. 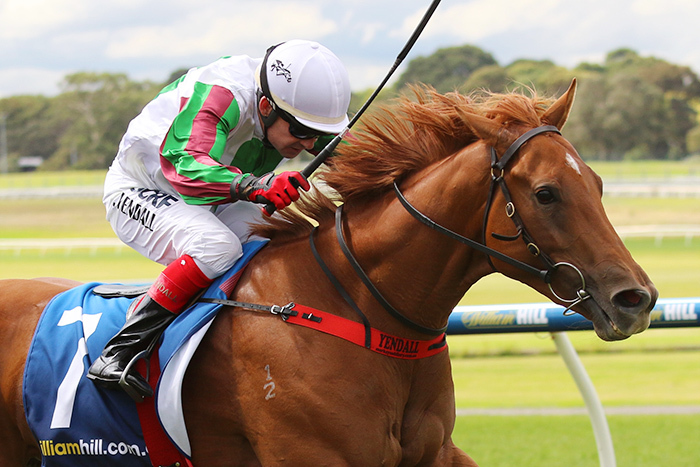 He was last seen when well-beaten behind Boomwa in a Moonee Valley sprint in December. With 88 supplementaries added to the original catalogue, there will be 264 lots for sale at Oaklands Junction this Friday.